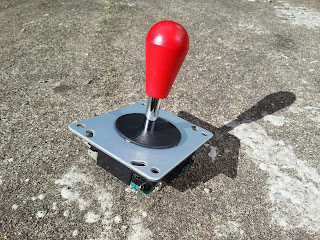 Strong and Sturdy joystick - ideal for fighting games, Retro Game projects like ArcadeForge Bartops, Arcade Cabs, Widebody Bartops, Arcade Joysticks and other MAME Retropie or Recalbox Raspberry Pi Multigame GameElf PCB installations. Each joystick comes with a 4-8 way restrictor plate fitted. - As default it is set to 8 way.